We continue our Complete Galaxy Visual Guide updates with the addition of the Dagobah With Yoda set. Click below to check out this updated POTF2 [Green/Freeze Frame] Visual Guide. We also added this to our review database today, and you can check it out right here. We’re continuing to look at products from The Power Of The Force “2” [Green/Freeze Frame] line. It’s time for Complete Galaxy! Next up is Dagobah With Yoda. Learn more in our Research Droids Reviews today! Be sure to leave your thoughts in our comments section, vote in the poll or even comment about it on our Facebook page. Click the banner below for the direct link to the review! As always, you can also send your review requests via email if you’d like to see something that we didn’t cover yet. ← We've Had Chewbacca Mom. Is Yoda Mom Next? Have You Ever Wanted to Be an Action Figure? I certainly have! 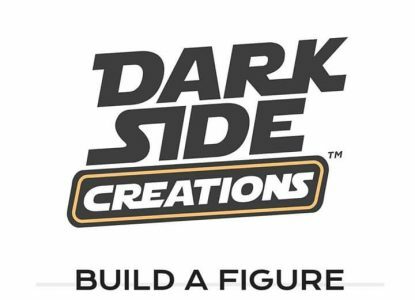 Dark Side Toys announces Dark Side Creations: 3D printed custom heads for 3.75″ action figures. Click through for their announcement!